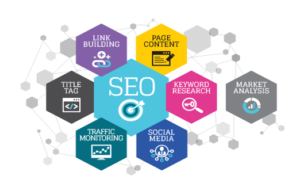 Knowing what organic search engine optimization is and investing the time and money to implement it are two vastly different things. While the strategy behind organic SEO should be natural and authentic, there are actionable techniques that should be followed to increase a company’s online traffic. The techniques listed below are a starting point to get your website optimized, and are by no means the complete list of strategies. Like most things in the digital marketing industry, the more time and [initial] money that are invested into organic search engine optimization, the more success your website will see in the long run as measured by profitability and visibility to an authentic customer market. First and foremost, ensure your website is filled with the correct keywords and phrases that not only drive traffic, but are relevant. As a business you want views on your site, and initially, you may not be particular about where these views are coming from. Keep in mind, quality over quantity is the name of the game that will lead to a company having an organic SEO website. One time views and views that result in return customers are entirely different. 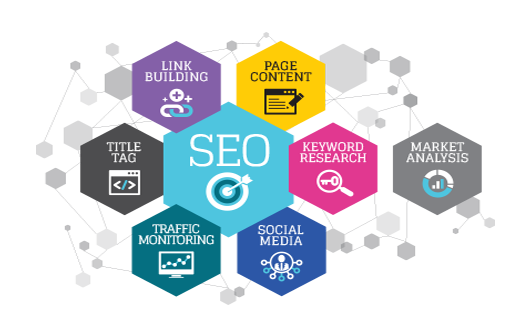 In order to be search engine optimized, you want to use keywords that are specific to your target market and can result in return customers. Choose specific, yet applicable words that will make your website visible to the market searching for it. Another successful keyword strategy is to match the page URL to one of the major keywords that the page is focused on. This will make it easier for users to relate the site to the brand. While keywords are a fantastic and necessary aspect of SEO, be cautious of oversaturation. Google, specifically, is aware of this and condemns it. Be smart, thoughtful, and strategic in your keyword placement. You can have the perfect keywords, but without a strategy focused on valuable, reliable content, your website will never be fully search engine optimized. Perhaps one of the most popular and efficient content vehicles are blogs. Blogs allow businesses to relate more consistently with their users and customers by creating a place to vet new content. Look at it this way, let’s say a company has a website that has fantastic content that is engaging and unique. This will get initial success and views but not return visits. User retention will stop once users realize there is no fresh content. Why would users waste their precious online time on a site they have visited before that has nothing new to offer? Blogs allow people to relate more with online brands and create a humanistic relationship. Ensure you are publishing relevant content that is relatable, authentic, and genuine, keeping in mind your target audience. This is where the time investment comes to play. Yes, it will take more time to create this content, but keep in mind the lasting impact it will have. The goal is to create a brand that stems from customer loyalty and profitability. Moreover, every time a blog post is published, the company can utilize social media platforms to share the posts in a real-time manner. Returning users equal more views which ultimately help a company climb the organic search engine ladder to success. Call to Action is the concept of asking your readers to do something once they enter your website. Whether that means a clickable link to buy something, enter information, or call a number, these actions generate immediate clicks. The further the user explores a webpage, the heavier the impact on search algorithms, ultimately leading to a higher organic search engine placement. If you are new to the online digital marketing world, start with these three organic techniques to get your website search engine optimized. Always keep in mind that in order to be successful and grow your brand, business, or company, you must continue to explore the world of SEO. There are countless techniques that will help you give your website visibility and profitability in an organic and authentic manner, it just takes an investment in time and patience. For more information on how we can help optimize your web contact, contact us.